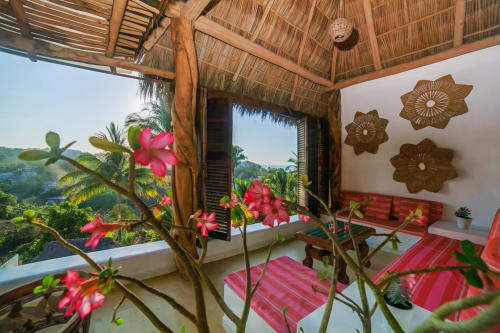 Casa Compadres For Sale by Owner in Sayulita is an architecturally designed 3 bedroom 4 bath home with pool on a spacious lot on the north side of town. There is room to build a casita onsite. Casa Compadres is Titled, furnished and ready for a bank trust, and has an impressive 12 year rental history that will produce e great rental income. The 3 bedrooms are air conditioned, and there is an office off the master bedroom that can be used as a 4th bedroom or a great owner's locked area to store personal belongings when the home is being rented. The two upper bedroom terraces have ocean & town views. The very upper deck is a large entertainment patio that is partially covered. The lower bedroom is adjacent to the pool. The chef's kitchen is spacious and well designed, with top of the line appliances, granite counters, and tons of cabinet and storage space, including lockable storage for owners. The home is designed for entertaining and also has a bar with wine refrigerator. The home has electric sunshades to keep the living space cooler. Solar water panels heat the pool allowing you to use it year round. A large shallow end of the pool is great for kids, or for lounging while enjoying the waterfall and beautiful backyard. The garden area has artificial turf and lush, low maintenance plants. A hammock area plus a pergola in the back of the property add relaxing spaces. 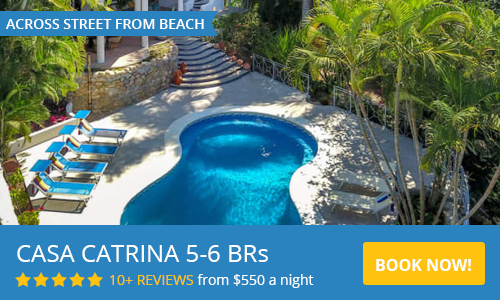 The top terrace is the perfect place to overlook Sayulita and the beautiful ocean view. This terrace has a bodega and a BBQ and sink area, and is perfect for entertaining, cocktails, coffee, or morning yoga. There is a dumbwaiter for easy transport of food and dishes to the third floor from the kitchen, making entertaining extra easy without having to carry everything up the stairs. Casa Compadres has a 5KW solar panel system for the entire house, which keeps the electicity costs to a minimum. 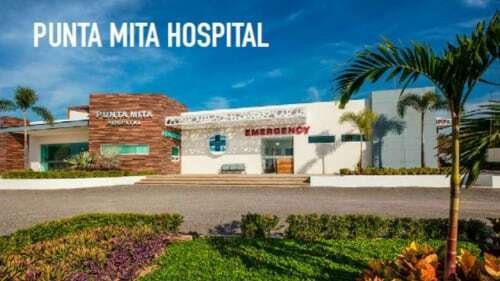 There is a full house water filtration and sterilization (UV light) system, large water storage sistern, pressure pump and two rooftop tinacos (water storage) for the entire house. A 4 person electric golf cart is also available for purchase. Please contact us via the form with any questions.